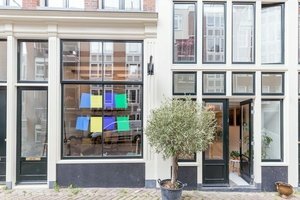 Situated in cultural Amsterdam East close to Magere Brug , this cultural venue is an excellent location for brands to host a Art Event or Private Sales. Housed in a inviting building with a private entrance, this space is sophisticated with a lovely feel. 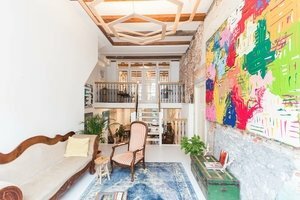 This compact space has a refined interior of white walls and wooden floors. The authentic stained glass doors create a radiant atmosphere. This space offers basic amenities including chairs and tables and can accommodate a variety of events. 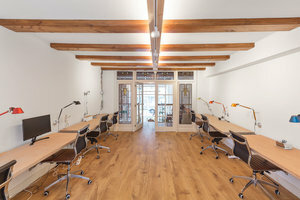 This unique space is situated in a prime area of Amsterdam East close to Magere Brug. It is an amazing space to host events, private events and launch events.